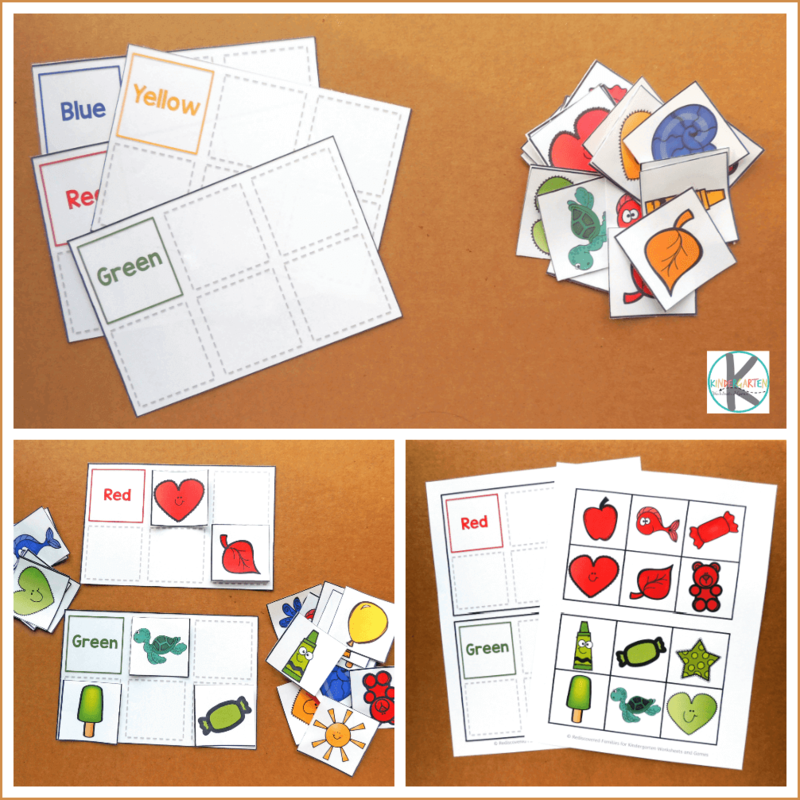 These FREE Color Sorting Mats are a fun, hands-on activity to help your students practice color recognition. As an added bonus, this activity will also give children a chance to practice sorting colors. Most students LOVE games and puzzles, so anytime you can combine a game with learning you are onto a winner. These FREE Color Sorting Mats are just such a kindergarten math activity. As it is the beginning of the school year you are probably working on color recognition and sorting. 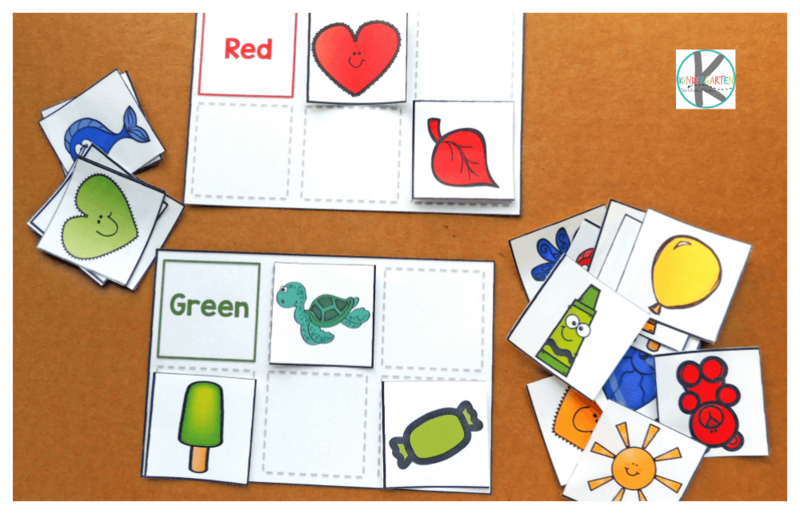 This FREE Color Sorting activity includes 6 sorting mats each one for a different color. There are also 6 picture cards for each color. Download the file, print onto cardstock and laminate for durability. Cut out the sorting mats and the individual color cards. Separate them into two piles. Place the sorting mats in one pile and the color cards in another pile. Shuffle the color cards. 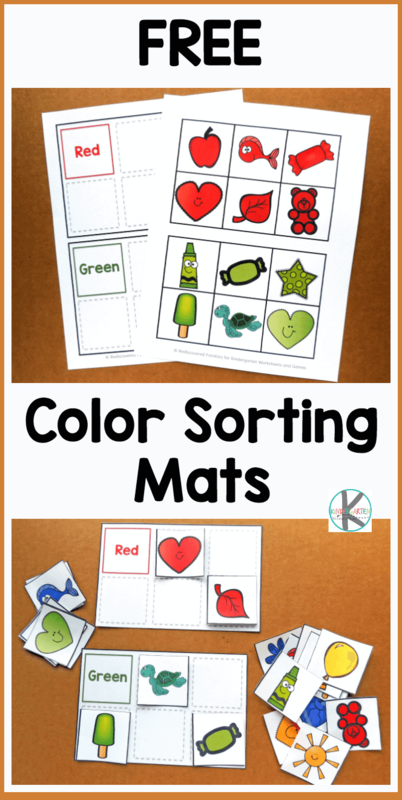 Invite students to choose a color sorting mat. Help students read the color word shown in the corner of each sorting mat. The color word is also printed in the correct color to act as a visual cue. Direct students to sort through the color cards and find the 6 puzzle pieces with the same color as the color word on the mat. 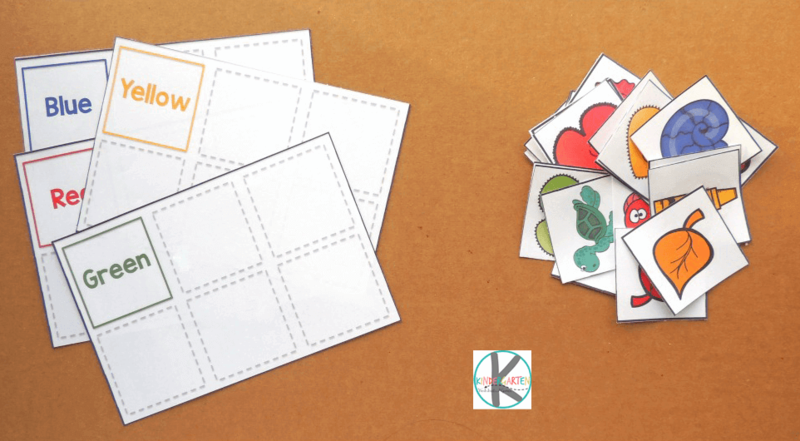 This game can be used multiple times throughout the school year or as an independent station once students are comfortable playing it themselves. Use this activity with preschoolers. Do a couple of mats at a time. Talk about the things you see in the pictures. Children may need help with sorting. 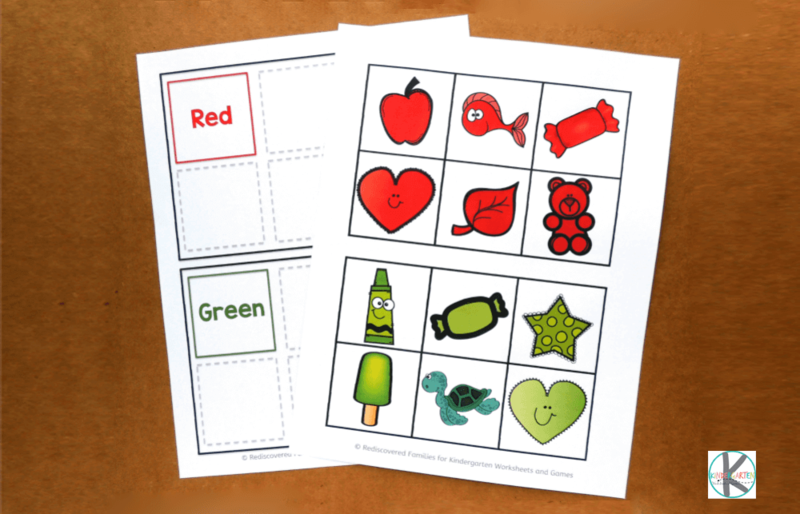 Print out copies of the sorting mat on paper and invite children to fill the squares with drawings in the correct color. Brainstorm different objects that might be a certain color. Then invite them to draw and color their own pictures.